There's reason for hope in Philadelphia. Although Roy Halladay lost game one of the NLCS, the infamous ex-Cub factor, which was orignially penned by Ron Berler in the Boston Herald on October 15, 1981, gives hope to the Phighting Phills. It was a scalding essay about the Billy Goat Curse following former Cubs to their next destination, and any team with more than three former Cubs was doomed from postseason success. to celebrating a title in 102 years. 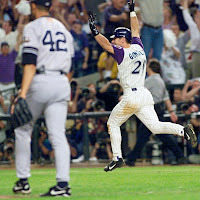 The only season when a team survived to win the World Series with a large ex-Cub contingency was in 2001, when the Diamondbacks defeated the Yankees. That team from Arizona had Mark Grace, Luis Gonzalez, Miguel Batista, and Mike Morgan. This year, it looks like the Phillies have the billy goat on their side, the Giants aren't looking too bad, but the two American League teams have a bit of stink on them. The Phillies only carry one former Cub, and that is Ross Gload, who is 0 for 2 in two pinch-hitting appearances this NLCS. Not only is Gload the only former Cub on the Phillies' NLCS roster, but he only played 18 games for the Cubbies way back in 2000. The San Francisco Giants, who are facing the Phillies in Game 3 of the NLCS this afternoon, have Mike Fontenot on the active roster. In fact, he's been starting most games because Kung-Fu Panda, Pablo Sandoval, stopped hitting. Fontenot was a big part of what the Cubs failed to accomplish the past few years, so you never know what that can bring to the team. As far as inactive players, the Giants also have Mark DeRosa on the DL and in the dugout. We're not sure what that means. Over in the American League, the Ex-Cub Factor is more prevalent. Which is worse? The Rangers have a utility infielder named Andres Blanco, who was on the Cubs as recently as last year. Uh oh. They also have a lefty reliever, named Clay Rapada, who already contributed in the Game 1 loss. Rapada faced one batter for the Major Leage Cubs in 2007. At least he got that guy out. What is unclear is whether or not the Ex-Cub factor affects Josh Hamilton, whom the Cubs drafted in the Rule 5 draft and immediately sold to the Reds. I'm leaning towards not counting him. "We have faith in A.J." If this curse means anything, the Yankees are likely in trouble. They have Sergio Mitre in long relief and Kerry Wood in charge of the 8th inning(s). They both pitched for Dusty Baker in Chicago, which is a bad sign. 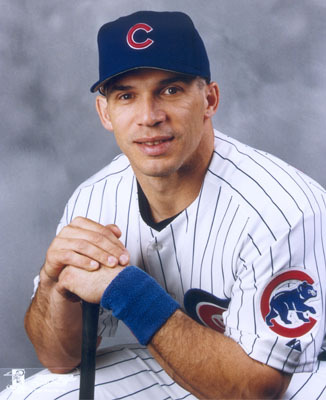 Not only that, the Yankees' manager, Joe Girardi, played seven seasons for the Cubs in two stints from 1989-92 and 2000-2003. Perhaps, no team will actually suffer from this curse, since none of them have more than two active former Cubs. Still, if less is more, I think we can expect a Phillies/Rangers World Series. Speaking of a Phillies/Rangers World Series, why did the Phillies trade Cliff Lee to Seattle again?